Even though Verizon’s slogan is “It’s the network” and ‘Rule the air”, sometimes that can be challenging when you live in a rural area and in a house that just doesn’t get good reception from your local cell tower. 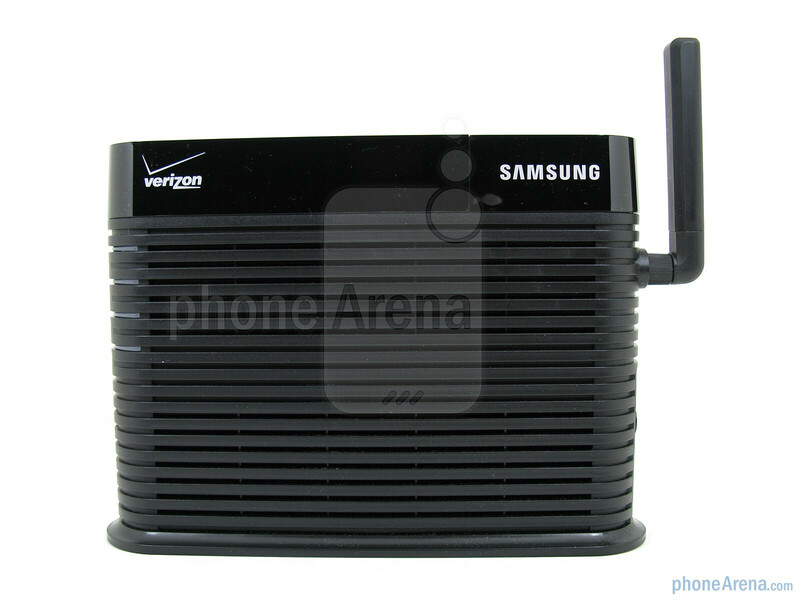 That’s when the Verizon 3G Network Extender (Samsung SCS-2U01) comes into play, which is an updated version of the original Verizon Network Extender than came out in 2009. The main difference between these two Femtocell units is that the newer 3G version is EVDO Rev A capable, allowing for faster data speeds, while the original model was limited to using the slower 1x for data. The Verizon 3G Network Extender currently sells for $249.99 and there is no extra monthly fee, but it does use your standard wireless plan minutes and data charges (if applicable). The Verizon 3G Network extender is pretty simple to set-up, as it can connect directly to a router or cable modem with the included Ethernet cable, and has an AC/DC power connecter that plugs into a wall outlet. After it’s connected to your home broadband network, it takes about 10 minutes for it to fully register and become operational, as all four LEDs become solid blue (PWR, SYS, GPS, WAN). The bottom WAN light will slowly flash blue to show that it’s connected to your home internet, and will flash faster during a call or when data is used. 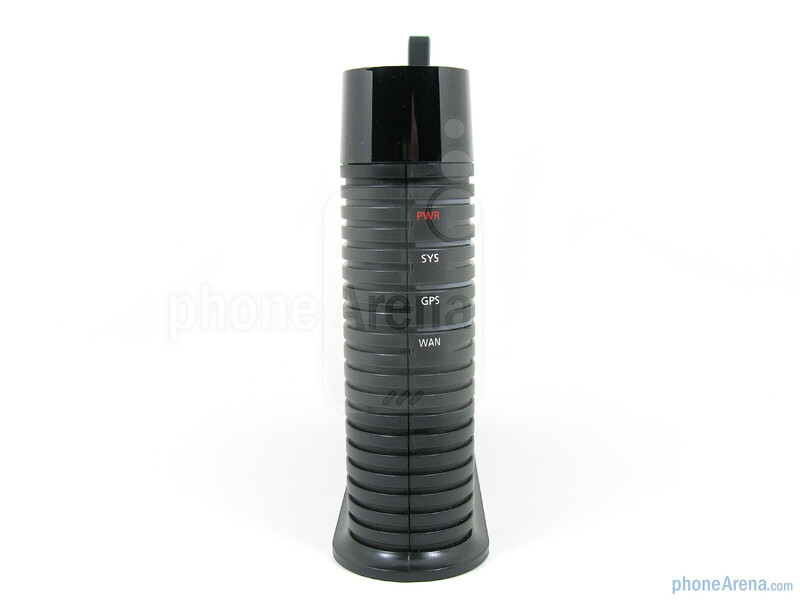 Just like the previous model, there is a built-in GPS receiver that limits its use to only the U.S. and also provides your location to E911. The manual recommends placing the 3G Network Extender near a window so that it can lock on the GPS signal, but in those instances where the GPS light stays red and cannot find a signal, there is a 23-foot extension cable that will allow you to remove the GPS module and place it closer to a window. In our testing however, we did not need to use the extension cable, as it was placed only a few feet from a window and was able to lock onto the GPS signal without issue. The manual states that to initially connect your Verizon phone to the 3G Network Extender, it is recommended to be within 15 feet of the device, though we were able to connect up to 50 feet away. 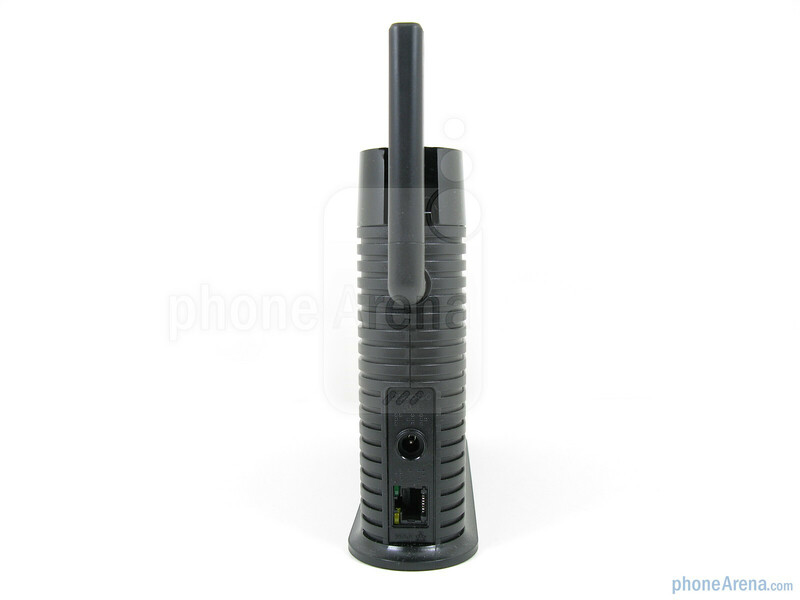 We also like the fact that up to 6 Verizon phones can be connected to the 3G Network Extender at one time (with a 7th channel left open for 911 emergency calls), which is a nice improvement over the earlier model that only allowed 3 phones to be connected at once. There is also the ability to program the 3G Network Extender through your online My Verizon account, which will allow you to enter up to 50 phone numbers to use the device, which is handy to keep your neighbors from inadvertently using it. You can verify that you’re connected the 3G Network Extender by dialing #48 on your phone and listen for the recording, but there is also a double-beep that is heard in the phone’s earpiece when placing calls through the device. 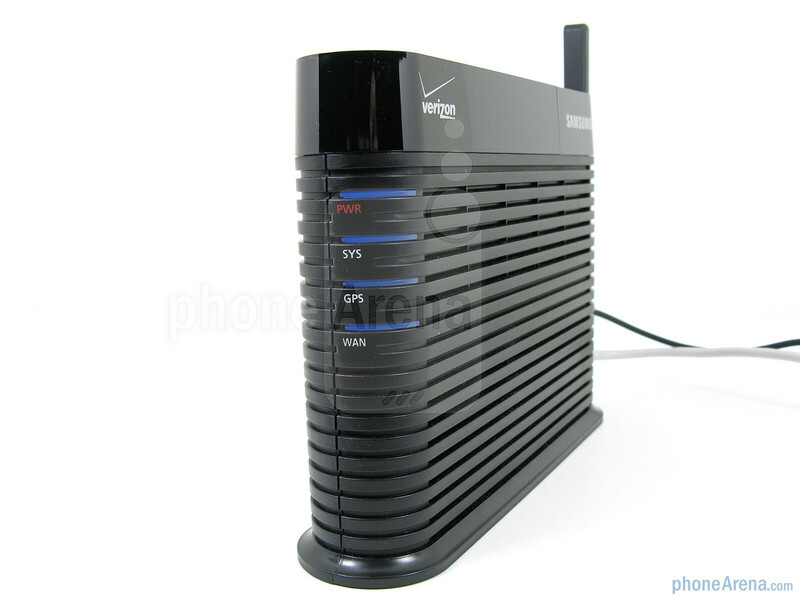 We tested the Verizon 3G Network Extender with our Motorola DROID X and LG Clout VX8370 phones. When powered on, both phones showed solid 4 bars when connected to the 3G Network Extender, as they usually only show 2-3 bars when using the local cell tower. We had no problem staying connected to the 3G Network Extender in our 2-floor house (1500 sq ft) and even outside around the parameter, about 55 ft away. Call quality was excellent and voices sounded clear and natural on both ends, as we could tell there was a slight voice improvement using it instead of the local cell tower. If you place a call while using the 3G Network Extender and then move too far out of its range, the call will automatically transfer to a local tower (if there is one available). However, if you place a call while you’re away and then come back into range of the 3G Network Extender, the call will not transfer to it. For data usage, we used our Motorola DROID X and performed tests using the www.speedtest.net site. When the DROID X was connected to Verizon’s local cell tower using EVDO Rev A, it got 1.58 Mbps download, 0.53 Mbps upload, and had a ping time of 163 ms. Then we used the 3G Network Extender with the DROID X and got 1.59 Mbps download, which is not much faster than using the local tower, but the upload times were noticeably slower at 0.05 Mbps and ping times were also worse at 264 ms. Because of this, we did a few other tests at different times using the 3G Network Extender, and all averaged between 1-1.8 Mbps download, and uploads between 0.04-0.25 Mbps, while ping times remained about 250 ms. Lastly, we did the same speed tests with the DROID X while connected to our home Wi-Fi connection and were able to get 10.73 Mbps download, 2.66 Mbps upload, and a ping time of 47 ms. Based on these results, it appears that the Verizon 3G Network Extender is averaging the same EVDO Rev A download data speeds as our local cell tower, but uploads and ping times are not as fast. Still, this is an improvement over the previous Network Extender, as it lacked EVDO and was much slower since it only relied on 1x for data. But for smartphone users, it’s still best to use Wi-Fi whenever possible. The 3G Network Extender claims a 5000 sq ft operating rage, but when factoring in walls and other structures, we found the real world rage to be closer to 3000 sq ft. Also, since the 3G Network Extender is much closer to your phone than a traditional cell tower, the phone uses less power to receive and transmit, thus providing increased battery times. When going into the Service Menu on our LG Clout, it showed a signal of -60 dBmv when connected to the 3G Network Extender, and the Motorola DROID X showed -58 dBmv. But when both phones are using the local cell tower, the signal is not as good; averaging about -89 dBmv (closer to 0 is better). After using the Verizon 3G Network Extender for over a week with our two phones, we are pleased with the results, as call quality is somewhat improved with voices sounding better on both ends. It also provides EVDO Rev A for data, which is a noticeable improvement of the previous model for download speeds, though the upload speed and ping times still aren’t that great. If you live in an area that has poor cell tower coverage, we would highly recommend the Verizon 3G Network Extender for use in your home or office. But if you live in an area with pretty good coverage, the small improvement you’ll hear in the call quality may not be worth the price. Now, can they upgrade the software in my Extender that I just bought a few months ago? There's a CAT5 port on the back for something other than the internet connection!! I'd hate to spend ANOTHER $250!!! I sorta doubt it. The ethernet port it to supply voice and data from your phone to Verizon. That would be like saying I can make a basic phone go from 2G to 3G with a software upgrade. If the hardware isn't able to support 3G then you're going to be stuck with 2G no matter what. Check with your local Verizon store or call *611 from your phone to get more info on that. Wow look at those speed tests! That's not very fast. I'm glad Verizon released these but this should be evidence that Verizon isn't perfect everywhere. I had to use a Network Extender once and I live in a big city. While I like Verizon and the fact they release products like this, stuff like this should be humbling to the fact that you shouldn't swear on Verizon to work anywhere. No carrier is perfect. I purchased this device from VzW a few weeks ago and spent several days trying to get it positioned in my home near enough to a window to receive (and RETAIN) a GPS signal. I even bought a Westel wireless bridge so I wasn't tied down to an Ethernet jack in my house. After all of the stars in the sky finally aligned and the correct location locked into the GPS satellite long-term, i began making test calls. When phones actually registered to the NE, the solution worked beautifully during the calls and even transferred to the nearest tower when i left my home on a call. The main problem that I had were that our phones (which usually sit within 10-15 feet of the NE) didn't stay connected to the device long-term. As soon as calls connected through the NE would hang up, our phones (Blackberry Curve and Vz iPhone) would almost immediately go searching for signals and then home to an external tower with little to no coverage. In the 2 weeks that we tested the NE, i could NOT get an inbound call to connect to the phone while it was on the NE. Needless to say, the inconsistency of the phones' connection to the NE made it almost worthless and I just sent the device back for a refund today. Very disappointing, as I was really hoping for a long term solution that would have allowed me to dump my Time Warner home phone and potentially broadband - as 4G works fantastic in my home as well. 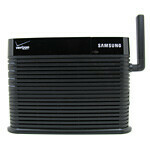 Now that Vz has 4G & I now own the Vz Thunderbolt, when will Vz come out with a 4G network extender. Cell coverage at my home is the pitts. I usually have "0" yep "ZERO" bars, on a good day I may have 1 or maybe even 2. I drop calls constantly. "Can you hear me now?" People I speak to .. can't hear me so I'm constantly asking CYHMN? HELP! Switch over to Sprint. They will give you their network extender (Airrave) for free. Yeah, but they'll charge you monthly for use. Recieved this unit today. Purchased in refurbished form from an Ebay seller. Once setup and linked, my cell immediately had a FULL 5 bar signal!!!! My cell service is a bare minimum inbetween some small mountains, but now it 100% perfect. Even outside the home, up to about 100', I still get a solid 3 bars of service. Simply the best $127.00 ever spent on anything cellular. I could never make a call, or receive a call without the call droppping within seconds. Even texts would not go through, and had to be resent over and over. NOT ANYMORE!!! Thank you Samsung!!!!! 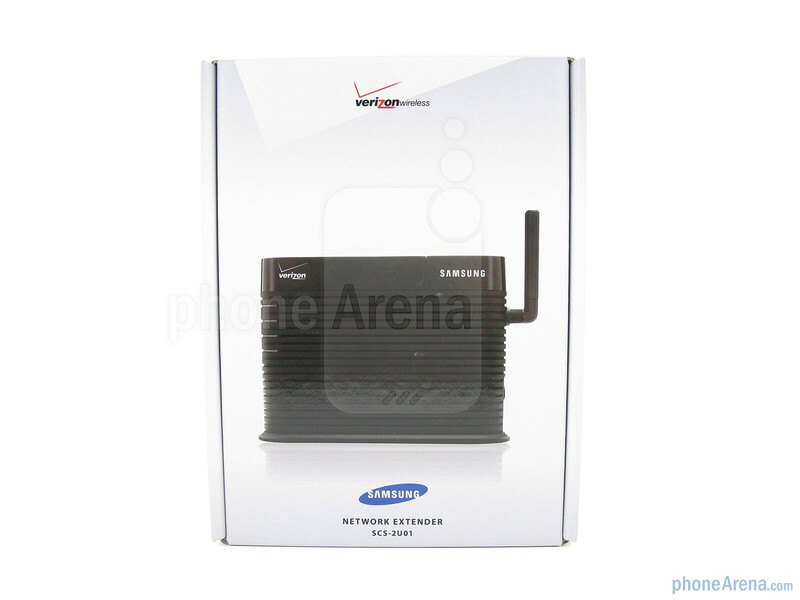 If your Verizon service is slim to none, or in/out of service, this unit will allow you to enjoy using your cellular service at home without any issues.